For the World's Smoothest, Richest Brew "It makes the absolute best cup of coffee I've tasted in my entire life." 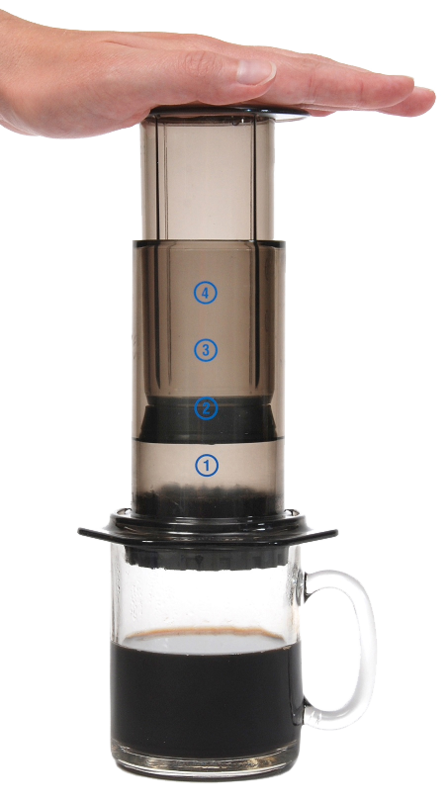 Lewis Singer, Cook's Junction "My wife and I love the smooth, rich flavor of AeroPress brew." Robert Baker, professional coffee taster and consultant SMOOTHEST Using the ideal water temperature and gentle air pressure brewing yields rich flavor with lower acidity and without bitterness. RICHEST Total immersion brewing results in uniform extraction of the ultimate in full coffee flavor. Other coffee makers drip hot water on bed of grounds, over extracting at the center and under extracting at the edge. 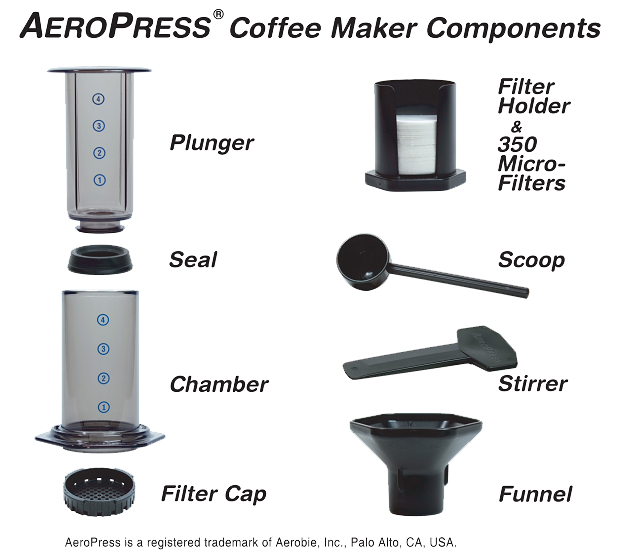 PUREST Micro filtered for grit free coffee – unlike other press-type coffee makers. FASTEST One minute from start to enjoy. The actual press time takes only 20 seconds.